A few months ago, I was sitting outside Café Loisl with Melissa Cate Christ, an assistant professor of architecture at the University of Hong Kong. We were there to discuss the proposed Pound Lane escalator, which would run straight up the staircase in front of the café, replacing a century-old series of steps with a whirring machine. Beyond the disruptive effect the escalator could have on the surrounding community, Christ was concerned about the potential loss of history when the Pound Lane steps were dug up. “Old stairs are many times a sign of something else,” said Christ as I took a sip of cappuccino. 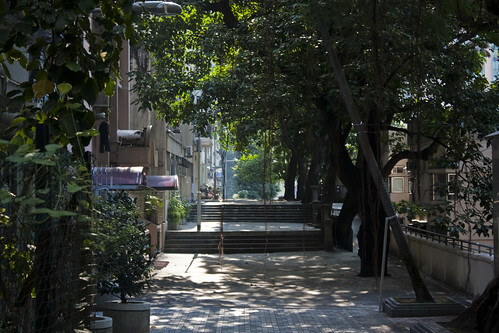 When the government planned to sell the former Central Police Married Quarters, the presence of an old series of steps led archaeologists to the long-buried ruins of the Central School, Sun Yat-sen’s alma matter, which had been bombed during World War II. 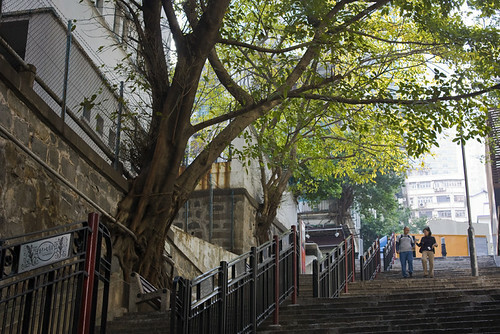 As you might expect from a city built on series of hills and mountain slopes, Hong Kong has a lot of staircases, some of them linking two roads at different elevations, others serving as streets themselves. 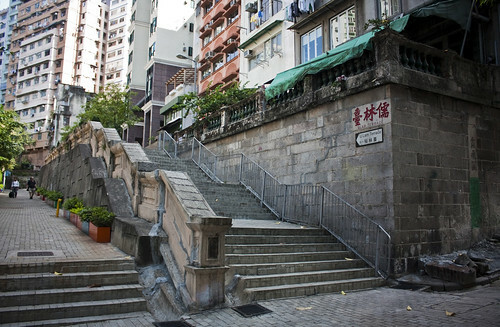 These so-called “ladder streets” are among Hong Kong’s oldest, and in most cases their stone steps are the oldest surviving structures around. Some of these streets — including Ladder Street, appropriately enough — have been designated as historic sites, but most have no protection whatsoever, so they are often encased in concrete. 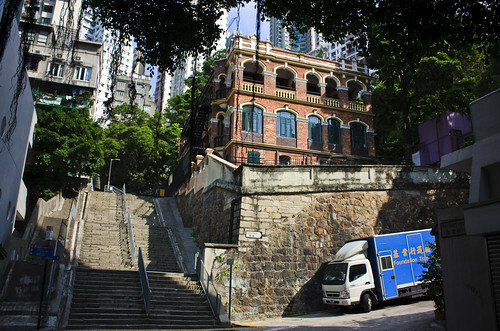 It seems the city’s engineers, in their quest to transform Hong Kong into a giant highway off-ramp, have decided that a rough mixture of sand, cement and water is more durable than a slab of granite that has withstood a century’s worth of footfalls. Even more of a threat than concrete is a lack of documentation. 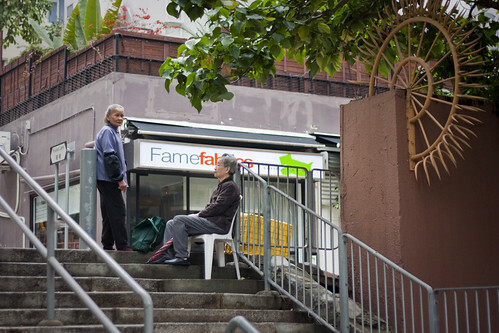 Each of Hong Kong’s slopes is assigned a number and rigorously monitored — a necessary system in a city where landslides have claimed hundreds of lives, including a terrifying 1972 incident where two blocks of highrise housing were wiped clear off the map. 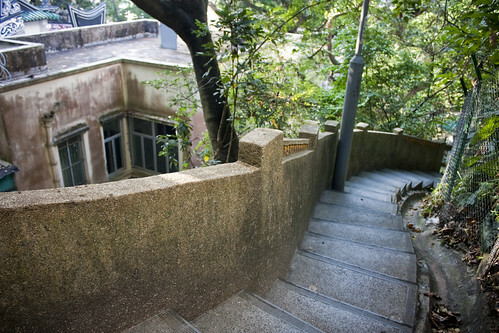 But there is no such procedure for staircases, which have the same legal status as footpaths and roadways. 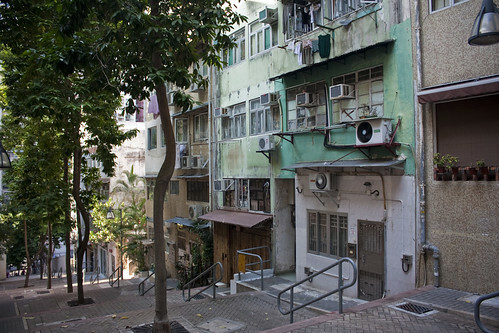 Christ set out to rectify the situation by using satellite photos to document each public staircase in Hong Kong. It turned out to be a far bigger task than she could handle. So far, she has only mapped Central, Western District and a portion of Pok Fu Lam. She showed me series of maps she had made that were marked with hundreds of short lines. “There’s more than a thousand staircases,” she said. It’s pretty impressive to think about: in one small part of Hong Kong, more than a thousand pedestrian links, many of which don’t even appear on maps. It’s like discovering a whole ecosystem whose presence you were vaguely aware of, but whose extent comes as a surprise. 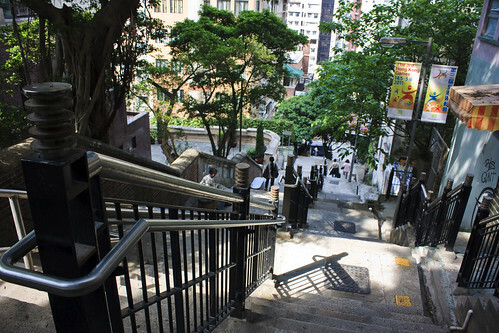 This entry was written by Christopher DeWolf , posted on Sunday June 24 2012at 03:06 am , filed under Asia Pacific, Heritage and Preservation, Public Space, Transportation and tagged Exploring the City, Hong Kong, Ladder Streets, Staircases . Bookmark the permalink . Post a comment below or leave a trackback: Trackback URL. 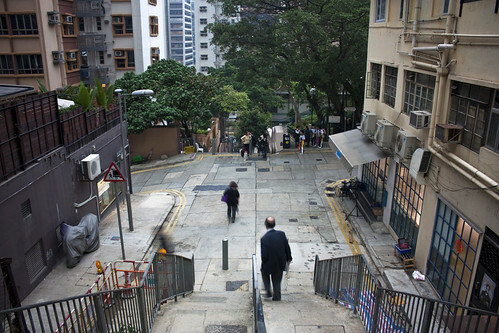 I’m doing my diploma about HK staircase landscape in Norway now. 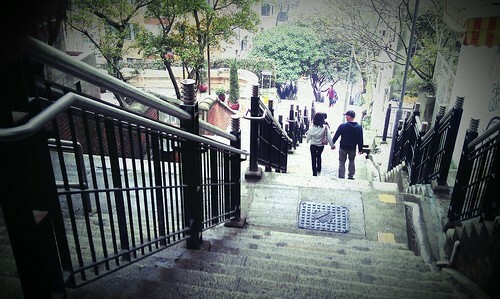 I worked in Hong Kong Island last year and also found there are many fascinating step streets. Really want to do some thing for them, so chose this topic as my diploma. It would be great if I could get contact with you and your friend Christ ASAP. Since your pictures and information are huge helpful materials for my study.